Heavy Haulers offers a better service, at a cheaper price, than UShip. 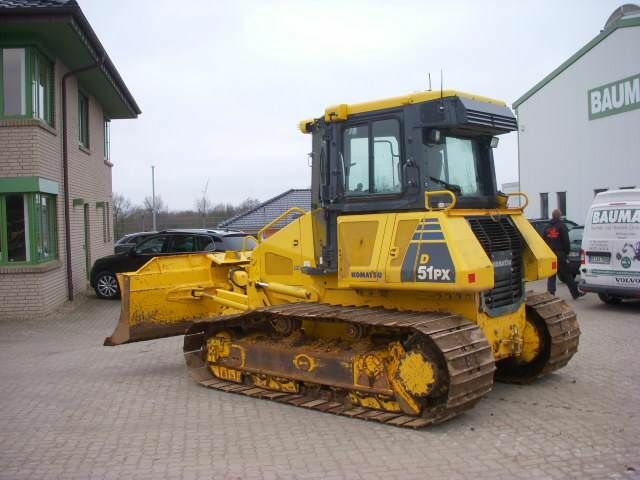 To prove it, we compared offers to ship a bulldozer from a Florida auction to a client in the northeast. As expected, Heavy Haulers offered to complete the transport at a slightly lower cost than UShip. The task was hauling a Komatsu D51PX 22 Crawler Tractor from Davenport, Florida, to Londonderry, New Hampshire. The bulldozer weighs 29,000 pounds. It’s 16 feet long, 11 feet wide and 9 feet 8 inches tall, and fit on a step-deck trailer. Only the width was oversize, requiring permits from all eight states along the travel path. UShip provides an online platform where shippers and carriers can meet. If you choose a carrier from UShip, you pay UShip a fee equal to a percentage of the cost of the move. Anyone can register for a UShip account. UShip lets counterparties see each others’ reviews and activity data, to help people choose the person with whom they want to do business. Unlike other online shippers,UShip provides you with the identity of the company bidding on your load. The opportunity exists to bypass the platform (and its fees) to strike a side deal with any carrier who bids on your load. UShip charges a straight 7% fee for each heavy equipment delivery. That’s lower than the fees charged by their online competitors. There’s no fee if your auction fails to attract a bid you like. Carriers also pay UShip a fee. The carrier fee is on a sliding scale based upon the value of the equipment-shipping contract. The carrier fee is about twice as much, somewhere around 15% of the value of the contract, as the shipper fee. So UShip takes a cut of the profits from both ends of the transaction, a total amount equal to more than 20% of the value of the shipping cost. UShip offers an initial price estimate once you post your load. UShip’s Shipping Price Estimate for the dozer was $3,485.44. The initial estimate was quite close to Heavy Hauler’s total bid, but the site doesn’t indicate whether the estimate includes the UShip shipping fee or not. UShip’s estimate also turned out to be within two dollars of the final best bid placed by carriers. The estimate program searches for loads of a similar size to your posting that recently have traveled the same path. You’re also provided with information that tells you how reliable each similar load is to your load. Moving on to the shipping quotes section, you have two options: Set Your Own Price or Get Quotes Now. Since the estimate had already set a price, we asked to Get Quotes Now. A bidding war broke out among three companies who wanted to transport the dozer. Over the 10 days of the auction, bids continued to drop as these companies fought it out. While the end result was positive, you can’t help but feel the UShip carriers were ready to charge you more than market price if other bidders hadn’t appeared. One company issued a first bid of $4,635. Their final bid was $3,386, more than 25% lower than the initial bid. Another carrier started at $3,900 and finished at $3,400. A third bidder began at $3,894 and ended at $3,388. If you have the time and your listing draws enough interest, you can reach a fair market price. But watch out for the initial offers, they’re steep. At Heavy Haulers, our initial offer represents our best assessment of the current market price. You won’t get multiple offers from Heavy Haulers. In this case, UShip offered stiff competition to Heavy Haulers. UShip’s total cost was only 5% higher than Heavy Haulers’ total cost. The UShip auction was acceptable, with three companies providing ever-lower bids. The lowest we could move the bulldozer on UShip was $3,621. That includes the best bid from UShip, $3,386, plus a service fee of $237. Heavy Haulers bid $3,500, very close to UShip’s best bid. Remember, though, that your transportation broker has a professional stake in making sure your cargo is delivered properly. Online shippers simply match your load with a carrier, then they wash their hands of the deal. An experienced transportation agent marshals your transport to a successful conclusion. Your agent makes sure the carrier lives up to its promises. If something goes wrong with the shipment – scheduling conflicts, machinery breakdowns, personal emergencies – you’ll be glad you choose the services of a professional transportation agent. I have passed your information along to one of our Logistics Professionals. His name is Sam & he will be reaching out to you via email to get a quote provided to you. Thanks for your inquiry!